Eighth-seeded Saina once again displayed her fighting spirit in her victory over He Bingjiao of China in the semi-finals, winning the contest 18-21, 21-12, 21-18. 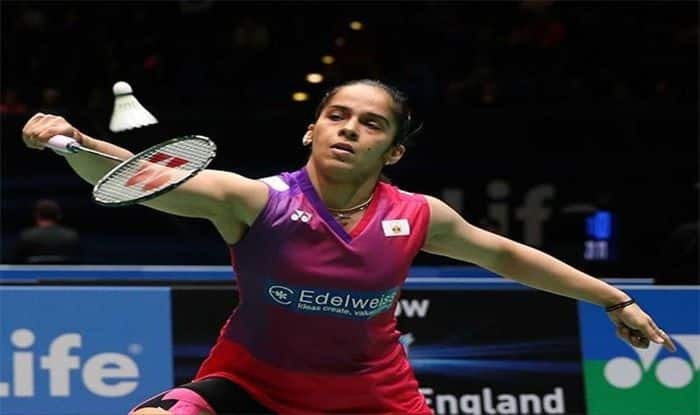 India’s ace shuttler Saina Nehwal stormed into the finals of the Indonesia Masters World Tour Super 500 tournament with a win over sixth seed He Bingjiao in Jakarta. The two-time Commonwealth Games champion defeated her Chinese opponent 18-21, 21-12, 21-18 in the semi-finals on Saturday. This was the maiden meeting between the two players. It was an intense battle three-set battle before Nehwal held her nerves to win the match. The Indian shuttler will play the winner of the other semi-final between Chen Yufei and Carolina Marin for the title on Sunday. The Indian shuttler raced to an early 11-7 lead in the opening game but Bingjiao made a solid comeback to seal the first game in her favour. In the second game, Saina regained her rhythm and fought back in a much better style 21-12 to take the game in the decider. The final game saw both the shuttlers in a neck-to-neck battle. However, Saina raced ahead and prevailed 21-18 over Bingjiao to advance to the finals of the prestigious tournament. Earlier in the tournament, Saina had entered her second consecutive semi-final of the season after defeating Thailand’s Pornpawee Chochuwong 21-7 21-18 in the quarters. The eighth seed had started the season by reaching the semi-finals of the Malaysia Masters, where she lost to Spanish shuttler Carolina Marin. Saina had won a gold medal at the 2018 Commonwealth Games, a bronze at the Asian Games, besides reaching finals at Denmark, Indonesia Masters and Syed Modi International last year. Earlier, Nehwal produced a scintillating performance against Pornpawee Chochuwong of Thailand to reach the semifinal with a straight games victory. Saina beat Chochuwong 21-7, 21-18 in 33 minutes to enter Saturday’s semifinal. The win now takes Saina’s head-to-head record over the Thai to 4-0. While, in the men’s singles, India’s only hope Kidambi Srikanth had to settle for a second quarterfinal finish after losing 18-21, 19-21 to local hero and Asian Games champion Jonatan Christie.